Summer Lifesavers | Kid Reporters' Notebook | Scholastic Inc. The seasons in Australia are the opposite of those in the Northern Hemisphere. It is now summer in “the land Down Under,” as Australia and New Zealand are often called. To stay cool, many people are heading to the beach. Unfortunately, this season has been particularly deadly, with a spike in the number of drownings. In December alone, 18 people drowned off the coast of Australia. 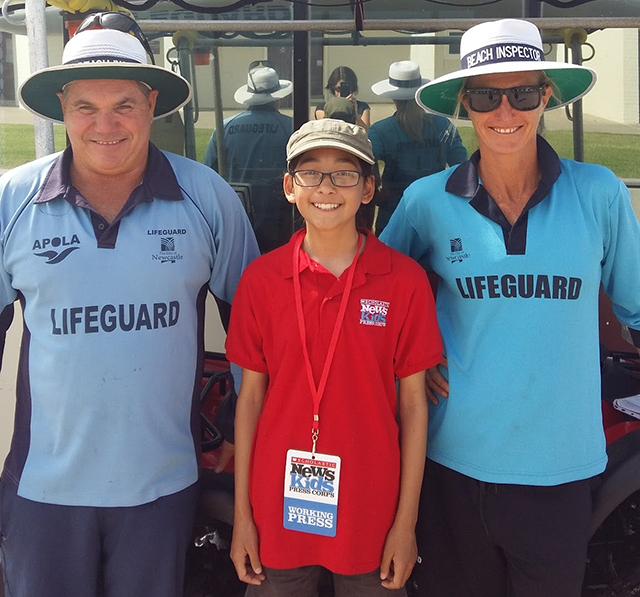 Lifeguards play a vital role in keeping people safe at the beach. They start their day early, surveying conditions to determine where to put the red and yellow flags. The lifeguards continuously monitor the flagged areas and the rest of the beach to ensure that everyone is safe. I recently had the opportunity to interview Darren Toomey and Melissa Thurlow. Both are lifeguards in New South Wales. I asked what measures beachgoers should take to stay safe. “Swim between the flags, and listen to the lifeguards,” said Toomey, a lifeguard with more than 22 years of experience. Key dangers in the ocean, Toomey added, include riptides (strong currents), bluebottles (a type of jellyfish), and, on rare occasions, sharks. “It’s our job to make sure that everyone is safe and goes home at the end of the day,” he said. One memorable moment of Thurlow’s 16-year career came when she and Toomey used a defibrillator on a man who had suffered a heart attack. Without the lifeguards’ quick action, the man may not have survived. Being prepared and obeying the rules, the lifeguards said, is the best way to enjoy your day at the beach.